The END SIGN Flag, also known as a shop flag or wall flag, is the original and the best Point Of Sale flag in the world. 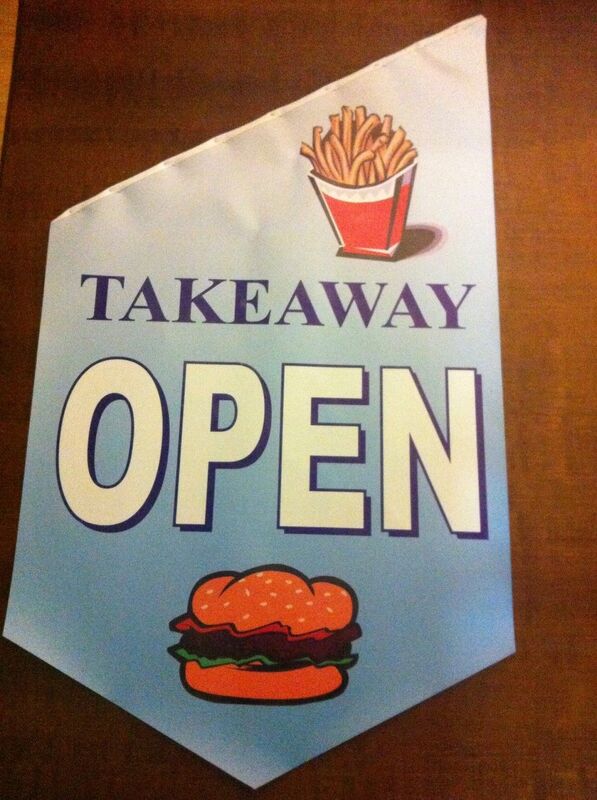 End Sign flags are double sided and extend from the wall to attract the attention of passers by. They are a great medium to drive impulse sales and are easily attached by screwing to a wall or using the extra strength adhesive that comes with the kit. End Sign Flags are available in stock designs or custom printed with your own design or logo. 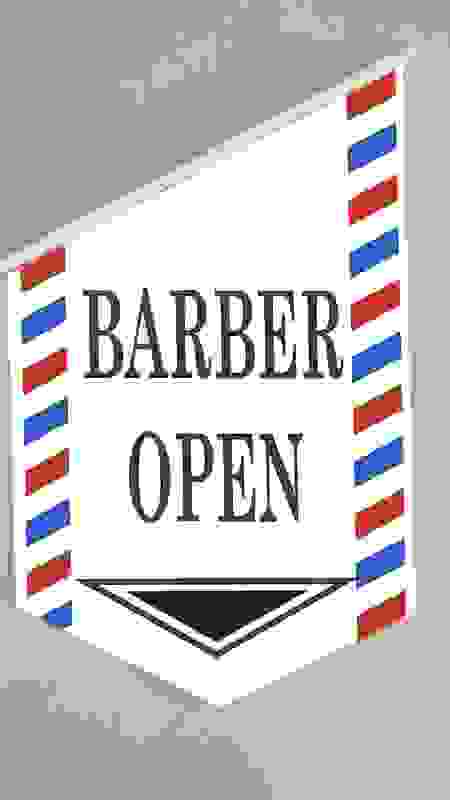 Simply email us your logo and we will prepare an artwork mock up for you. This is the original and genuine End Sign Flag Kit from The Aussie Flag Factory, with pre-printed OPEN 7 DAYS flag/banner. The perfect point of sale solution. The kit comes complete with poles and brackets and double sided flag banner printed onto 440gsm banner vinyl. The flag is approx. 680x420mm. The End Sign Flag is suitable for anyone who has a retail shop or market stall. The bracket can be attached with the supplie8d double sided tape or screwed into position. The banner flag and pole just slip into position in the wall bracket and can be removed and rolled up for easy storage. The durable flag is waterproof and can be wiped clean and are more durable than other fabric end sign flags. End Sign Flag Kit - Custom Printed freom The Aussie Flag Factory. This is the original, genuine End Sign Flag Kit to have printed with your own logo and or/slogan on the flag banner. Just email us your artwork and we will supply you with a proof prior to printing. The perfect point of sale solution. The kit comes complete with poles and brackets and double sided flag banner printed onto banner vinyl. The flag is approx. 680x420mm. This is the original and genuine End Sign Flag Kit from The Aussie Flag Factory, with pre-printed COFFEE flag/banner. The perfect point of sale solution. The kit comes complete with poles and brackets and double sided flag banner printed onto 440gsm banner vinyl. The flag is approx. 680x420mm. This is the original and genuine End Sign Flag Kit from The Aussie Flag Factory, with pre-printed NOW OPEN flag/banner in red and white. The perfect point of sale solution. The kit comes complete with poles and brackets and double sided flag banner printed onto 440gsm banner vinyl. The flag is approx. 680x420mm. The End Sign Flag is suitable for anyone who has a retail shop or market stall. The bracket can be attached with the supplied double sided tape or screwed into position. The banner flag and pole just slip into position in the wall bracket and can be removed and rolled up for easy storage. The durable flag is waterproof and can be wiped clean and are more durable than other fabric end sign flags. 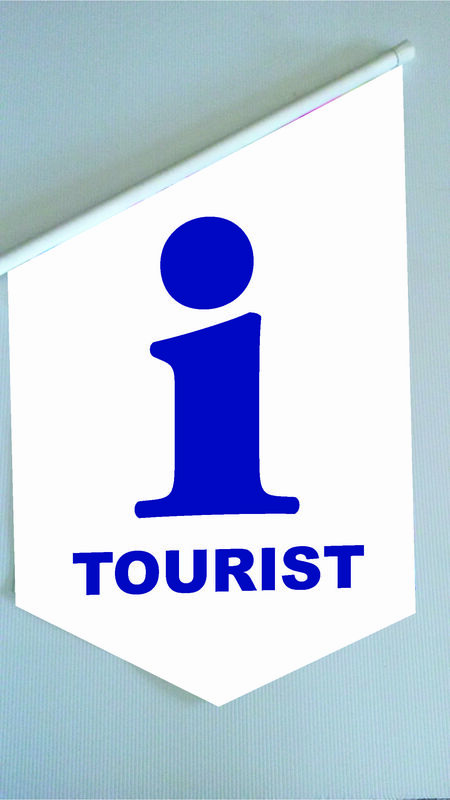 This is the original and genuine End Sign Flag Kit from The Aussie Flag Factory, with pre-printed TOURIST INFO flag/banner. The perfect point of sale solution. The kit comes complete with poles and brackets and double sided flag banner printed onto 440gsm banner vinyl. The flag is approx. 680x420mm. This is the original and genuine End Sign Flag Kit from The Aussie Flag Factory, with pre-printed BARBER flag/banner. The perfect point of sale solution. The kit comes complete with poles and brackets and double sided flag banner printed onto 440gsm banner vinyl. The flag is approx. 680x420mm. 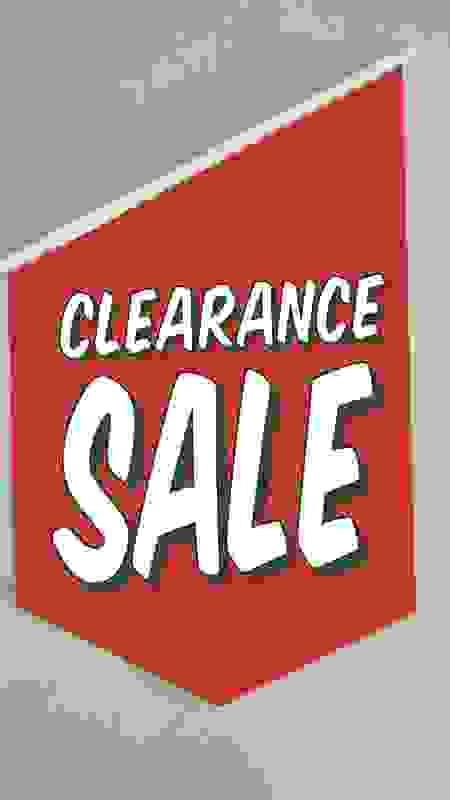 This is the original and genuine End Sign Flag Kit from The Aussie Flag Factory, with pre-printed CLEARANCE SALE flag/banner. The perfect point of sale solution. The kit comes complete with poles and brackets and double sided flag banner printed onto 440gsm banner vinyl. The flag is approx. 680x420mm. 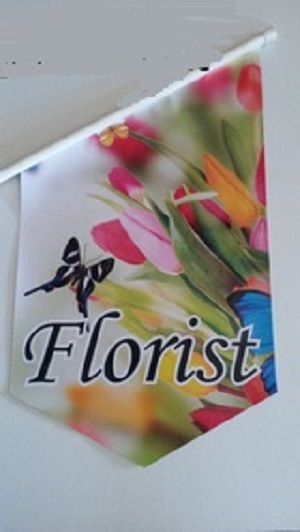 This is the original and genuine End Sign Flag Kit from The Aussie Flag Factory, with pre-printed FLORIST flag/banner. The perfect point of sale solution. The kit comes complete with poles and brackets and double sided flag banner printed onto 440gsm banner vinyl. The flag is approx. 680x420mm. This is the original and genuine End Sign Flag Kit from The Aussie Flag Factory, with pre-printed NOW OPEN flag/banner. The perfect point of sale solution. The kit comes complete with poles and brackets and double sided flag banner printed onto 440gsm banner vinyl. The flag is approx. 680x420mm. This is the original and genuine End Sign Flag Kit from The Aussie Flag Factory, with pre-printed TAKEAWAY flag/banner. The perfect point of sale solution. The kit comes complete with poles and brackets and double sided flag banner printed onto 440gsm banner vinyl. The flag is approx. 680x420mm.